The Remaining Devs, Should We Buy Them A Beer? Discussion in 'General Discussion' started by acepost, Nov 9, 2018. Hi guys, since there seem to be very few devs left and they seem to be working hard, should we toast to them and buy them a Beer? DrDooManiC, Aislinn and Cyberjankie like this. Well, they are the only people who seem to be interested in this game on company side, and they seem to be doing a damn fine job given their original jobs. Would be up for it, though they need a donate button or something, and we all know something about EC and buttonz of doom. Aislinn, Cyberjankie and LOBOTRONUS like this. Pizza delivery service. 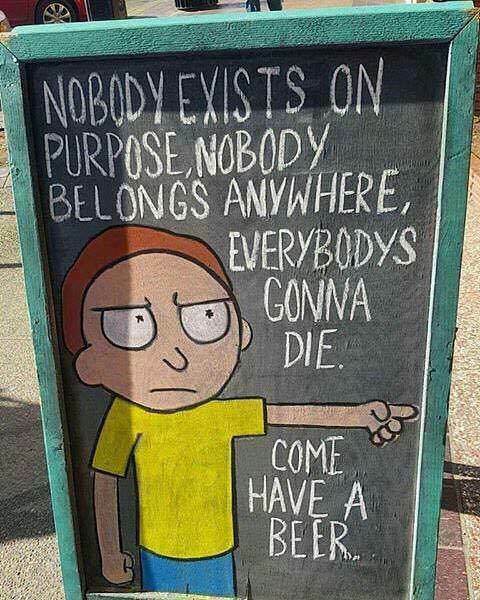 Give them pizza and beer.